It's smart to consolidate important paperwork, and stock certificates, in a single place. 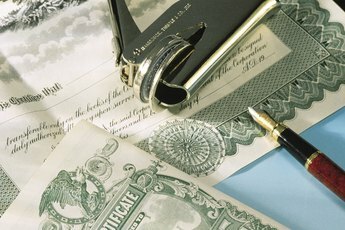 If you’ve invested in a company's stock shares, your broker may have offered an option to request paper certificates. 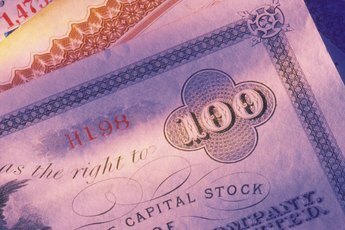 The stock is registered by the company in your own name, and the certificates have a unique serial number as well as an indication of the number of shares you own. These are valuable documents that should be handled with care. Losing them means taking some inconvenient steps to get them replaced. Search your paper files at home. It’s quite easy to put a stock certificate in a safe place, and then forget where you’ve put it. The same thing can happen to college diplomas, tax returns, insurance policies, bank statements and contracts. All of these documents should be held in a strongbox, paper file or banker’s box that is readily accessible but safely distant from the daily traffic through your home or home office. Contact your broker to ensure the stock is not being held in “street name.” You may have turned the certificates over and forgotten about it. Or, you may never have requested or received the certificate in the first place. Brokers normally hold unregistered certificates for their clients, and your broker should have an electronic record of the company name, date of purchase, and the number of shares you purchased. Contact the company you’ve invested in and ask for the investor relations department. Identify yourself, then inquire when the stock certificate was registered to you, and when it was mailed. The company should have a complete record of this transaction and should have tracked the certificate. Request the tracking number and check for the date of delivery with the U.S. Postal Service, UPS, FedEx or other carrier which the company uses for these shipments. If the tracking shows the package was delivered, it might have been stolen unless you signed for it and received it personally. Contact the broker or transfer agent that handled the original registration and request a “stop transfer.” This stops anyone from transferring the certificates to themselves or another party by signing your name to them. Your name is printed on the certificate. If you’re not sure who the transfer agent is, contact the company’s investor relations division. The agent or broker will report the missing certificate to the Securities & Exchange Commission. If you eventually find the certificate, notify the transfer agent or broker to lift the stop transfer. If you can’t find the missing certificate, contact the company for a replacement. 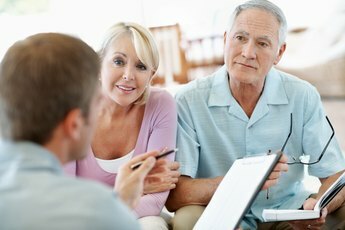 You must sign an affidavit that gives the circumstances surrounding the loss and buy an indemnity bond, which will relieve all parties of any responsibility should the missing certificate be sold or transferred by the party holding it. Always retain a copy of the front and back of any stock certificate. Keep this copy in a safe place, apart from the certificate itself. Without it, you may not be able to prove your original ownership if the certificate is transferred. Can I Cash in My Bell Atlantic Stock Certificates?